Welcome to the beautiful Singapore where dreams come true. As soon as you arrive at the airport, you will be taken in service by our representative who will transfer you to the hotel. It’s a day to relax and enjoy the dazzling lights and picturesque buildings of Singapore. The package activity will begin with a night safari. This adventurous exploration of about 2500 nocturnal animals will make your beginning an enchanted one. After some lip-smacking breakfast at the hotel, it’s time to explore the city of Singapore. This tour will include some cool spots of Singapore that will make you fall in love with this place over and over again. -Gardens by the Bay: This falls under the top 10 gardens in the world and consists of over 5, 00,000 plants that will be a green treat to your eyes. -Flower Dome and Cloud Forest which will inspire you. 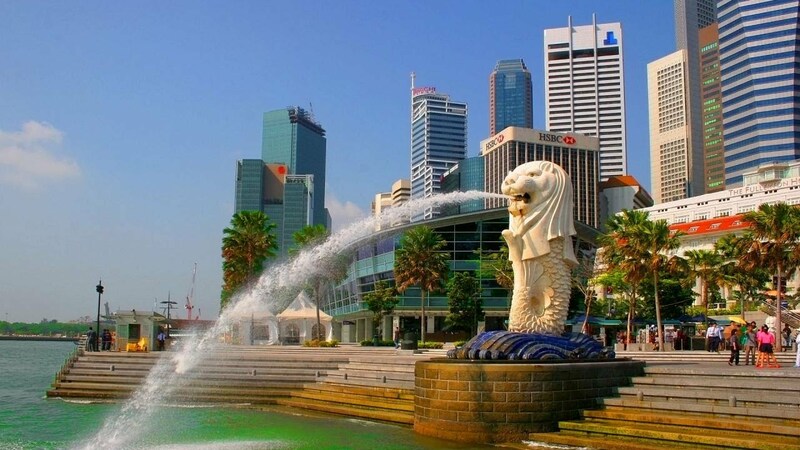 -The Merlion Statue is one of the star places of Singapore. -Jurong Bird Park is the prettiest place to look for some feathery folks. You will find vibrant birds of stunning sizes and colors. After a scrumptious breakfast at the hotel, you can step into a ride that takes you Universal Studios, which is a Hollywood theme park. This is a thrilling magic ride that takes you through movies on roller coaster rides. You can also enjoy other movie-themed rides and create long lasting memories. The next stop on your heavenly ride is the Resorts World Sentosa. The aquarium present there will make you awwww as you discover aquatic creatures from the life ocean. The Dolphin Island is an optional tour, but we highly recommend it for fascinating adventures with the Dolphin. After an amazing breakfast at the hotel, you head to the classic Sentosa which is a tranquil beach with great and striking scenes. Here you can choose from the option of leisure cruise or race. To feel the twinkle of the city skyline, you can enjoy the Skyride or hop into the Segway transporter for a ride full of twists and turns. After a joyful day, you head to the hotel for an overnight stay. Enjoy your scrumptious breakfast at the hotel and head to the Singapore Half City Tour. You can go on a shopping spree or go out for a River Safari- This park has around 6,000 animals and the world’s largest freshwater fauna. After breakfast, your day is at leisure and later you will be transferred to the airport. Board your flight back to India and take home some amazing memories.